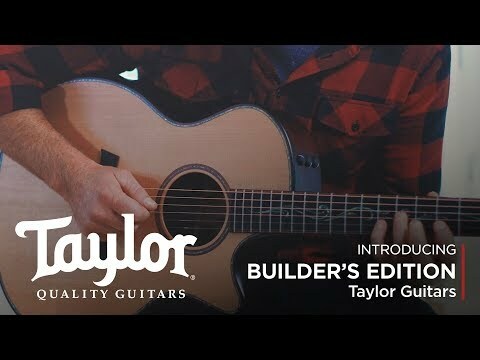 The Taylor 2018 Builder’s Edition K14ce Electro-Acoustic Guitar was created by master guitar designer Andy Powers and is the perfect celeb.. 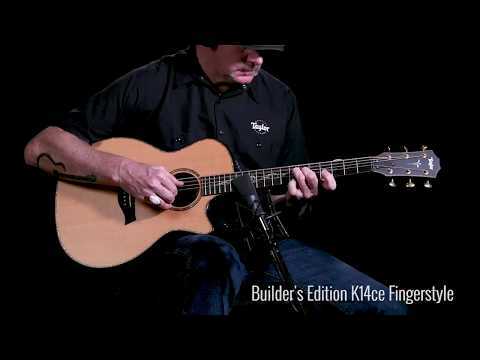 The Taylor 2018 Builder’s Edition K14ce Electro-Acoustic Guitar was created by master guitar designer Andy Powers and is the perfect celebration of the new V-Class style bracing. Celebrating the launch of the new V-Class bracing, Taylor master guitar designed Andy Powers has crated the new Builder’s Edition collection. Setting the K14ce Builder’s Edition apart from other guitars is a number of premium design features that are exclusive to this collection. 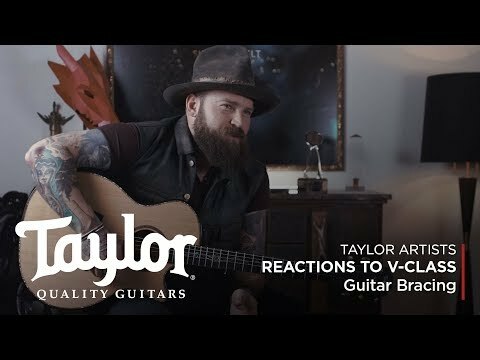 A ground-breaking new design from Taylor, V-Class bracing acts as a new sonic "engine", transforming the way the guitar's top vibrates and dramatically enhancing the sound. Marking a huge departure from traditional X-bracing, V-Class bracing produces notes that are louder, more in tune with each other and with greater sustain. 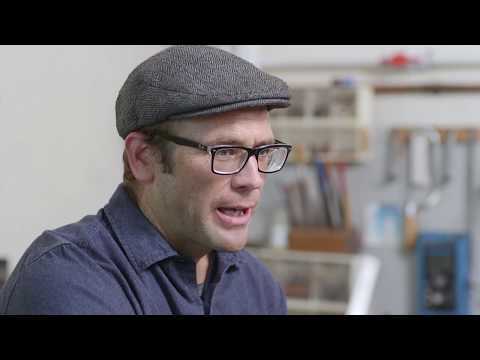 Using V-Class bracing, the guitar’s soundboard can be both incredible stiff and flexible at the same time, and results in increased volume and sustain while also improving intonation. The Taylor K14ce comes in Taylor’s signature shape; Grand Auditorium, and embodies the ultimate all-purpose acoustic guitar. With a size that fits somewhere between a Dreadnought guitar and the Grand Concert, the Grand Auditorium delivers the best of both worlds, with great sound across the spectrum while being perfectly suited for both picking and strumming. In short; the Taylor K14ce is a multi-dimensional guitar that covers a variety of styles. For the top of the K14ce, Taylor have used torrefied Sitka Spruce. Being strong yet flexible, Sitka Spruce is dynamic and delivers great tone and articulation making it extremely popular for guitar soundboards. Being torrefied, the top has gone through a heating process to remove impurities, reduce the weight and strengthen the wood. The end result is a guitar that sounds and feels like an instrument that has been played and well-loved for many years. The back and sides of the Taylor K14ce is made from Hawaiian Koa, adding a nice complexity to your tone. Adding to the aesthetic appeal of the K14ce, the back and sides also feature a gorgeous new Kona burst, giving the guitar an incredible exotic look while the dark colouring contrast beautifully with the lighter hued Sitka Spruce top. Attached to the body is a Tropical Mahogany neck with a Scarf joint and 1-3/4” width. Atop the neck, you’ll find an incredibly smooth and extremely playable West African Ebony fretboard. The neck also boasts a beautiful Kona burst for adding visual appeal, giving the Taylor K14ce a beautifully exotic, premium look. Adding to the playability of the Taylor K14ce and its unique look is the contoured cutaway which features a finger bevel for added fretting comfort. With a compound design and smoothened edge along the corner of the body between the end of the cutaway and the neck heel, this feature provides an extremely comfortable feel for your fretting hand and is perfect for guitarists that like to use the whole fretboard. The finger bevel on the guitar top gives you a convenient space to rest your little finger by the highest frets. Together, these fantastic design features allow you to play up and down the fretboard, wherever you like with ultimate comfort and without having to change your hand position when reach the top. A “silent” satin finish has been applied to the guitar and gives you a great looking, great feeling satin texture while also reducing the sound of body movement against the surface of the guitar. There’s also a bevelled arm rest in the top of the Taylor K14ce’s body, adding to the incredible comfort of playing this masterfully crafted electro-acoustic guitar. Using a breakthrough behind-the-saddle design, the Expression System 2 beautifully captures the dynamic properties of the K14ce. The revolutionary pickup design of the Taylor Expression System 2 delivers the latest in Taylor’s continuing innovation in the world of acoustic guitar amplification. One secret to the ES2’s incredible performance is Taylor’s patented behind-the-saddle pickup which features three separately positioned and individually calibrated pickup sensors. This unique placement and specific calibration allows for an increased capture of the dynamic range from the guitar. Combined with Taylor’s own custom-designed professional audio-grade preamp, you get an exceptional amplified tone with incredible response. Whether you’re playing on stage through a PA, plugged into an acoustic amplifier or recording directly onto a computer; the Expression System 2 truly delivers the voice of your Taylor guitar. Up on the headstock of the Taylor K14ce, you’ll find gold Gotoh 510 tuners, giving you extremely precise and secure tuning of your strings. West African Ebony with green Abalone dots have been used for the bridge pins while the nut is black graphite, enhancing the brightness of your tone and improving sustain. Making for a decidedly ornate guitar, the fretboard features a new Paua Spring Vine inlay, as does the peghead. On top of that, the soundhole is encircled by a Paua rosette trimmed in Koa while Koa and Paua inset purfling can be found on the top and back of the guitar with Koa purfling is present on the peghead and fretboard. As a final seal of quality, the Taylor K14ce Builder’s Edition proudly bears a Builder’s Edition guitar label and comes to you in a Taylor Deluxe hardshell brown case. Available in limited quantities, order the Taylor 2018 Builder’s Edition K14ce from PMT Online now so you can have this incredible guitar in your collection.